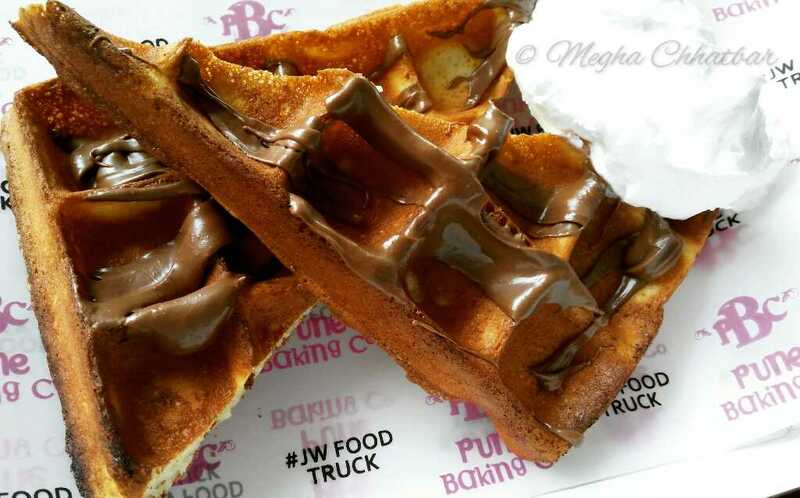 Fit Foodie Megha: JW Marriott Food Truck - Breakfast on wheels reviewed! 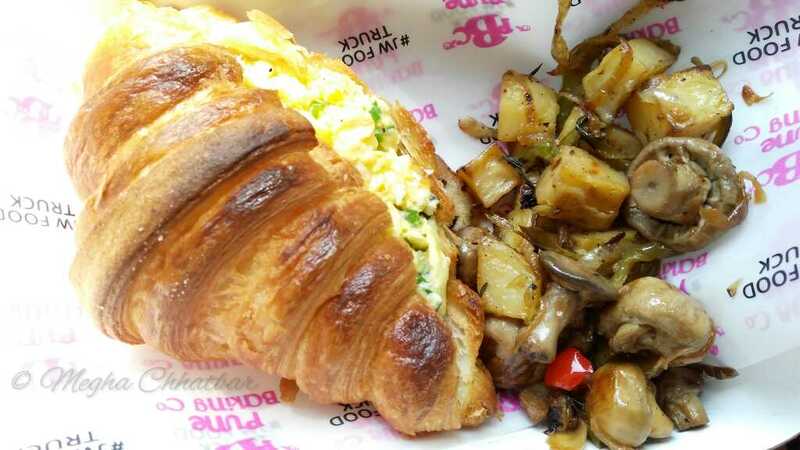 JW Marriott Food Truck - Breakfast on wheels reviewed! JW Marriott never ceases to amaze us with its creativity and concepts. In my previous post, I had mentioned about the Food Truck concept started by Pune Baking Company, which is operational on Weekend evenings Friday to Sunday from 5 pm to 9 pm. Now, one do not need to wait till evenings to satisfy their taste buds with the variety of delicacies food truck has to offer. 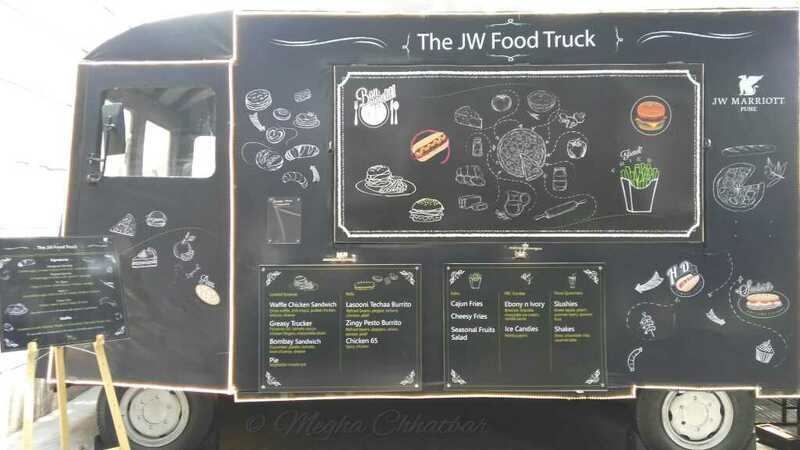 The JW Food Truck is already well known with the foodies for bringing to them, the best of street style delicacies like sandwiches, burgers, fries and hot dogs. Taking a step forward, the food truck will now offer a breakfast menu with exclusively curated egg preparations and more from the team of chefs on Saturday-Sundays from 8am to 10:30am. Including a platter of dishes to help you start your day on a healthy note, the breakfast can be enjoyed amidst a breezy outdoor seating with friends and family. The menu will be changing monthly. Currently breakfast has Signatures and Waffle accompanied with the choice of freshly squeezed juice. 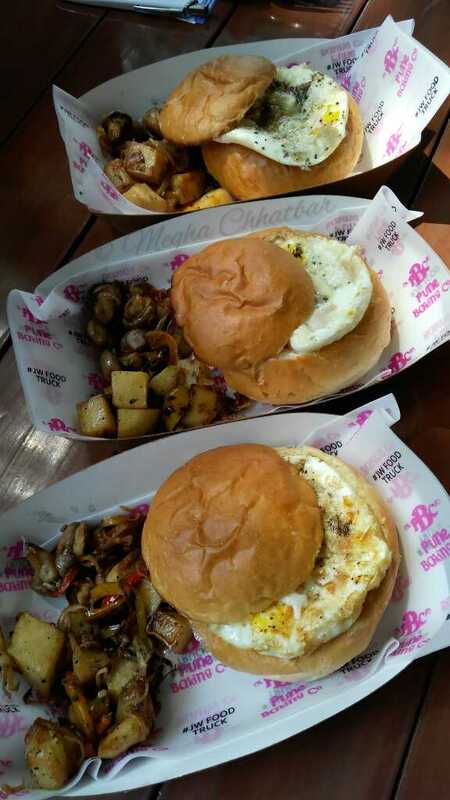 All the Egg orders are served with home style potato and mushroom. Green Dot, as the name suggests is the only veg preparation with Potato Roesti and Baked Beans on toast. 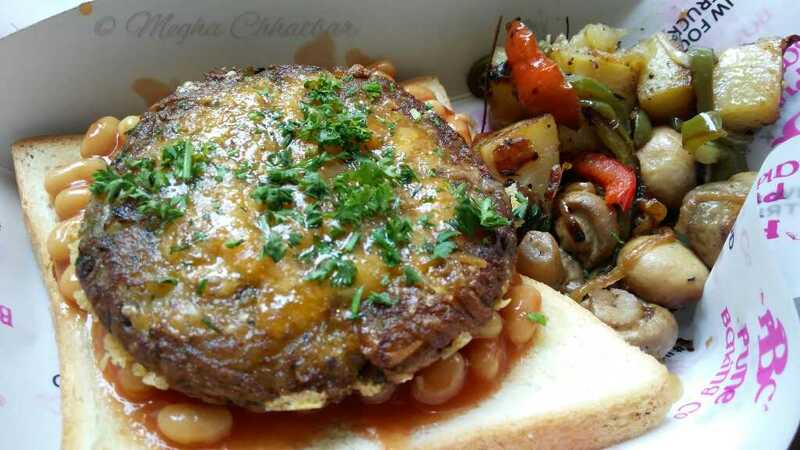 Toast was nice, crisp topped with beans and roesti (form of aloo tikki). Hangover Remedy also has toast base with 2 fried eggs, chilli, coriander and cheese. A best combination if you are a cheese lover! Anyone looking for a healthy option, they have spinach and sausage with 2 fried eggs on toast. Spinach in such a tasty way!? The name has to be Popeye Special. No points in guessing the name of next dish, Its Mr.Bean, with 2 Eggs in a bun, baked beans, cheese and sausage.The Bun is bit scooped and baked beans is layered with two egg fries. Quite a different and innovative dish! Beat it is my favourite item from the menu, single dish made with croissant. Croissant was soft, fresh and flaky with the filling of scrambled eggs, chives and cheese. I must say, one of the best croissant, I have had anywhere. 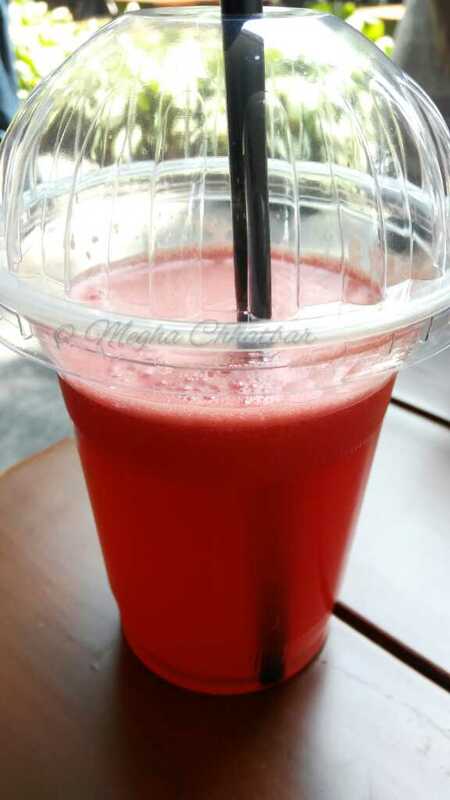 A must must try! Who would not like to have Waffles in breakfast? Yes, that too with varieties of toppings like nutella, maple, choco chips and whipped cream. My favourite be Nutella or Maple. 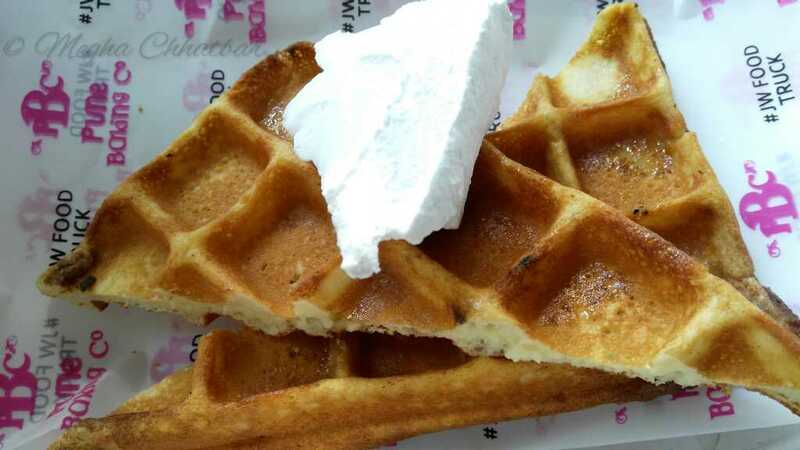 Waffles were crisp and baked to perfection with a scoop of whipped cream. 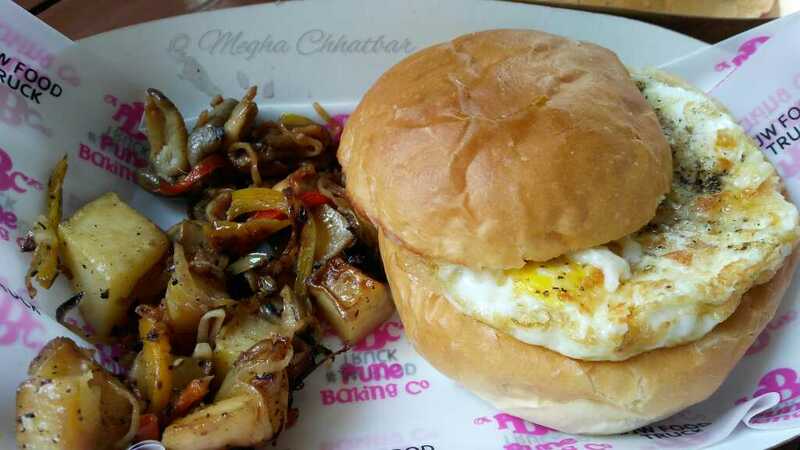 Do visit there for experiencing breakfast on wheels. I love food trucks! So fun.